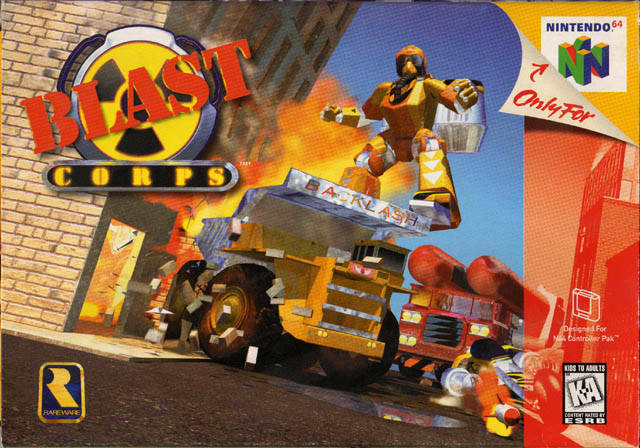 Blast Corps for Nintendo 64 allows players to get behind the controls of current and futuristic destruction machinery with the objective of clearing a path for an out-of-control nuclear missile carrier. Use bulldozers, construction robots, stomping rocketmen, and spinning trucks to level entire city blocks. You can also use a wide variety of weapons available and destroy a five-square block of the city.